It’s something that is constantly following us around, knocking on our doors, pounding in our heads, fluttering in our hearts — and not in a good way. Self-doubt. I define self-doubt as a state of mind that can truly make or break your business because it can mentally drain you in so many negative ways and leave you feeling everything but confident. Notice that I called it a state of mind, though. It’s an emotion, feeling and sense as well and although it’s much easier said than done — you CAN control it. You can change it. You can make it so that you never have to feel it or sense it ever again (or at least that often.) Although for some it’s a daily struggle and for others it’s a creeping, but, fleeting moment that finds its way in even just once or twice a year, it’s something that every business owner has to face and deal with at one point or another. Today, I want to talk about how to do just that – deal with it – and kick it to the curb because I promise you, it has NO place anywhere near you or your business. Of course these businesses are our livelihoods and we need them to make money to pay bills, but just remember where you started and how you much you have grown. You’re not doing it for just the fame or to just make an insane amount of money (hopefully that does happen for you!) but you first and foremost do it to help others and it makes you truly happy. You will instantly feel proud of yourself and confident again when you see how far you’ve come, maybe in even just 6 months or a year or ten years. Even if you’re not noticing it on a daily basis, you are constantly improving your biz and people do see it and will want to hire you. It’s easy to get discouraged with a lack of sales or even client inquiries — because we all know that the worst sound in the world is hearing crickets. Are you putting yourself in front of the right people, though? The dream clients for you will be the ones who see the value in your work and will pay the price for it. Even if you think you’re charging too much and people won’t buy from you, “those people” who will never buy from you are not your people! You MUST, MUST, MUST position yourself as the expert that you are, who deserves to charge what you want, in front of the people who will love what you have to offer. You may not see or hear them right now, but they ARE out there. Trust that. Something else that works for me is to take a day or two off when you’re feeling low. You’re not going to be producing your best and highest quality of work for your current clients, which is not fair to them or you. It’s easy to feel overwhelmed and not know what to do next – and when this happens – just stop. Literally. Stay out of the office for a day or a week (however long you need) and recharge your mind. Get outside, eat well, exercise, participate in a hobby that you enjoy, read a book and find some balance. When we step away from everything that is bogging us down at the moment, we can find some clarity and gain fresh perspective. Again, this will help with discovering some new confidence and excitement when you go back to work. And, to go back to Step #2, if you’re doing work for the RIGHT clients, you will naturally enjoy the work more, be happier and in turn, feel great about what you’re doing overall! Whenever I think that I’m charging too much for my services or that no one is going to buy from me, I also remember that I have put way too much schooling, post-college continuing education/professional development opportunities and money into myself and my business to not be charging enough. I am a PROFESSIONAL. I’m no longer a college student or someone who has picked up design as a fun hobby to do on the side just for friends and family. I also keep in mind that I have many expenses around running my biz, including my accounting and design software, which costs me a certain amount each month to maintain. Aside from your time, you also have a lot of money invested in your business and that should be considered when you’re figuring out proper amounts to charge clients. Once you’re confident in yourself and your business, it might be time to take another step forward and make one of the most important and necessary investments – branding. Have you thought about a new logo or website to help you look more legit to your customers? Branding is one of the biggest secrets to a business attracting followers and paying clients — and achieving overall success. Sign-up below to receive the link to download my new and free PDF tool “Branding 101: What it is, what it isn’t and why you need it” — right now! 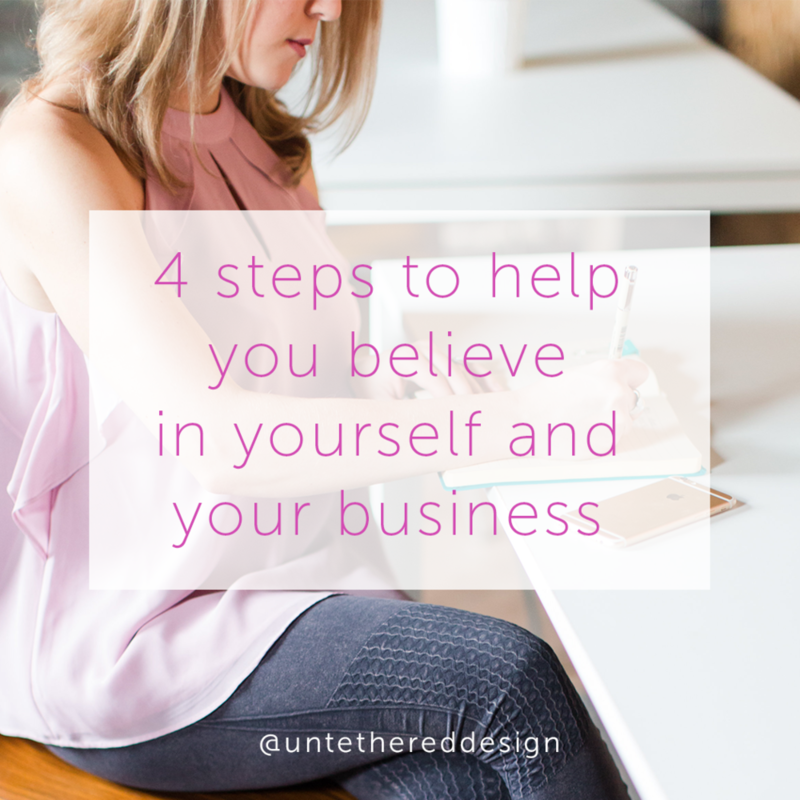 This quick and simple guide will walk you through why it’s important to establish consistent and memorable branding within your biz — and ultimately help you to decide if you can DIY it all or if you need to hire a professional (like me!) If you have any questions after going through it, let’s connect and chat some more!